The Teacher's Journey – Leading, Learning, and Life as we walk through the journey of education. Every year I’ve been in Middle School I’ve taught presentations. I teach them how to create visually engaging slides, how to tell a story through those slides, and how to weave in their content. I do this in part because I have seen just how bad presentations can get, and I have seen just how important communication can be for creating opportunities. Every year we do this, and every year more than half of my students do the same thing. Their eyes widen, they shrink in their seats just a bit, and they look flushed. Most Middle School kids hate talking in front of a crowd. I have tried to mitigate this with a variety of strategies, with some success. I often have students come in during lunch and during their honeroom time and present privately. This is ok, but is extremely time consuming. I’ve also done group presentations, but they tend to just be dominated by one person. Finally however, I’ve found something different, something awesome. I found Rumii through my friends at The VR Podcast. Rumii is a Virtual meeting space where you can have multiple conversations, show images and documents, render 3D models, and so much more. It is a fully immersive experience for sharing our kids’ ideas. I was excited about all it could do but I hadn’t figured out exactly how I would use it within a single class. As this group of kids started their decent into presentation anxiety it finally hit me. What if I let kids choose to present in Virtual Reality? We could use Oculus Gos and project the presentations to the group. I let my students know this was an option and started planning. About half of my 26 students choose to use Rumii. For most of them it was their first time in a fully immersive virtual environment, so they left slightly overwhelmed, but also desperate for more. Students who chose the VR spoke confidently, they were easy to hear, and they were able to give their presentations with minimal anxiety. These classes actually asked for more presentation projects. Step 1: I created a free account which allowed me up to 3 users on my team. They have even more available when you upgrade. Step 2: Download Rumii software from the Oculus store and for your computer at Doghead Simulations. Step 3: I used the manage team section to invite my two Oculus Go email accounts to the team. Users in the same team can share a Virtual meeting space. Step 4: I worked with my awesome IT team and the development team at Rumii to make sure the software was able to run through our servers at school. I got support from Amber Osbourne the company’s Chief Marketing Officer, and from Chance Glasco – just look him up- directly (how cool is that) who not only communicated with me via email and twitter, but also called me at school to ensure this went well. Step 5: Test it out before the kids show up!!! Step 6: download their presentations as PDF files, then upload them using the pdf viewer in your desired meeting room. I chose a presentation room. Step 7: Open the PDF files on the Oculus Go headset or device of your choice that will be presenting (you could do this on a computer) and get started! One big hint for the workflow of this, was to get kids into the headsets really quickly after the previous student so it wouldn’t turn off. Turning off sometimes causes my Oculus mic to stop working. It would work again after quitting and restarting Rumii, but it caused downtime I wanted to avoid. Dear teachers, this needs to stop. I’ll start with the last metaphor. How problematic is it that we refer to our classrooms, as the teaching profession to, “the trenches.” I suppose we would need to understand what the trenches actually were, meaning all of us ought to brush up on some social studies. During World War 1, soldiers would dig pathways into the ground and build up defensive positions in the ground. During that time soldiers would take refuge from a barrage of gun and artillery fire while being overrun by weather and vermin. 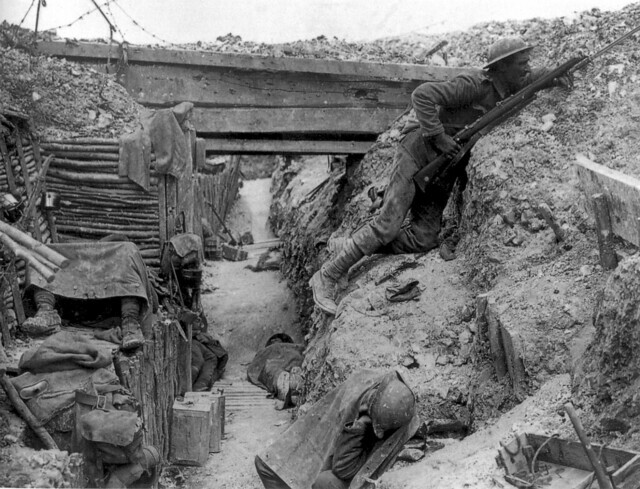 Approximately 10% of soldiers involved “In the trenches” were killed, nearly double the average from WW2. This is the image we are referring to when we talk about being in the classroom? Are our students fellow soldiers? Are they the enemy? Are they the artillery fire? When we refer to classrooms as “In the trenches” we are basically calling our workspace a living hell. Even on my worst day in the classroom, I have NEVER felt that my workspace was as bad as the unimaginable horrors of living and fighting in the actual trenches. The more we talk about our workplace like these incredibly awful scenes, the worse it reflects on our schools, our kids, and ourselves. Stop telling people you are “in the trenches” you aren’t making yourself sound heroic, you are making your school and your kids sound like a nightmare. So now let’s tackle the more obscure problem, the metaphor of the fight/battle. Why shouldn’t we be “fighting” and “battling” for kids? This is one of the problems of world choice that can lead us to create tension. 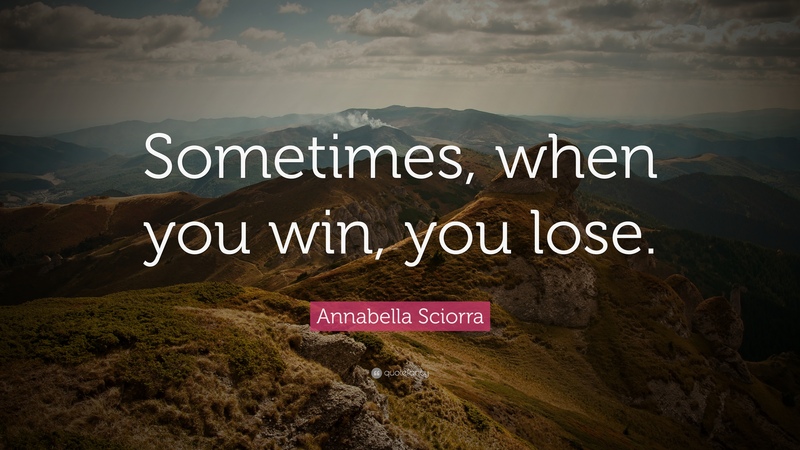 The idea of a fight creates the idea that there will be a winner and a loser. When we are advocating for kids, we can’t afford to have winners and losers. We need to find a way to eliminate the idea that two people with differing views of what is best for kids are locked in some sort of battle. We can’t ALL be in this together if we are also battling and fighting. I don’t view any of my work as adversarial, and if you hope to build bridges, make connections, and develop meaningful relationships with the people in your professional life, you cannot keep undermining them with poor word choices. What we say matters to ourselves and others. I want my words to evoke positive imagery of my classroom and school. I want to use my words to build positive relationships with kids, coworkers, parents, and the community. The faster we stop viewing education as a battle, a fight, or a hellish warfare landscape, the easier it will be to stop considering our work as a zero-sum game. When there is a fight, there is a loser. We cannot afford losers in education, and our goal should be to ensure that we all win. Welcome to the 4th Day of ARVRinEDU’s recap of ISTE18. While I have heard many different perspectives coming from this year’s ISTE event, many good, a few bad, and lots between. All I have noticed (because I truly only have time to focus on this one small aspect) is the incredible Immersion Tech explosion this year. I will be doing my official video recap tomorrow, but let’s just say, if there was a winner for this ISTE, I think AR/VR/MR is it. My highlights from ISTE today include more great sessions at the CoSpaces Booth, more incredible guests on the VR Podcast, and what appeared to be an epic ARVRinEDU gathering at the MERGE Booth today. I am looking forward to the final day of ISTE18. Thank you to everyone who has been sharing with me over the past few days, without your sharing I wouldn’t have been able to share all these incredible things. Meet the CoSpaces Edu Team! Kevin also made an amazing app for the ARVRinEDU Get together and shared some great stuff on top of that! Check out EQtainment booth 1895 and get cards that come to life in augmented reality with a free app! Some images from the VR Podcast and some Meetups of the ARVRinEDU crew! Phil Hintz sharing on Merge Cubes. Mark Super shared the amazing things going on his classroom where his students are creating VR experiences using Unity. The Merge booth also drew in a big crowd. There are some great things happening with Merge and CoSpaces to bring more adaptive AR Creation. Look for more on those in the recap tomorrow, as well as some insight from DogsHead Simulations and hopefully some more great ARVRinEDU companies in a new section highlighting the new things that are being released up to and around this year’s ISTE. Finally: The VEN Playground was a hit. Lots of great things shared, but importantly, lots of people being exposed to the power and possibility of immersive technology. Of course there was SO much more happening at ISTE today, but this is at least a little flair. Tomorrow there are tons more great things happening. Meet up with Azine at the Unity booth, or Michael Fricano shares his presentation at the CoSpaces booth. There are more great CoSpaces sessions the horizon. There will also be great sessions happening all over. The most exciting, and the scope I will be on the look out for tomorrow is the ARVRinEDU meet up at the Merge booth! For some of the previous schedules check the 1st Blog or the 2nd Blog. There is so much going on in our community at ISTE this year that I cannot keep up. I am looking forward to the greatness that comes out tomorrow! ISTE2018 is officially underway. Today was the first official day of the conference and with it a number of exciting things have been happening. Today saw it’s share of great things, and the program for Monday is incredibly jam packed with ARVRinEDU goodness! The VR Podcast Crew met all together face to face for the first time! They also started giving out the tons of VR Podcast swag, with LOTS more exciting events and give aways from the gang: Amanda, James, Steven, and Alex. One of the most exciting things so far, CoSpaces has dropped their AR version in a small demonstration at their social event today. CoSpaces (as I have discussed in several formats) is one of my absolute favorite tech tools, period. Their AR tool is something I have been waiting to see for quite some time, and it looks as amazing as it did on the first day I saw the preview! Now: MONDAY will bring an incredible amount of interesting things. The Vendor Area at ISTE opens up tomorrow. Visit the booths for CoSpaces, Unity, and Merge to find your favorite ARVRinEDU educators sharing their passions! Here are some opportunities to learn more about ARVR with CoSpaces. Also from 8-1130AM the Virtual Environments Network Playground will be open! READY PLAYER ONE! VR Podcast Team: Check the Unity Booth in the afternoon, the YEN Social at night, and the Virtual Environment Network Playground in the morning! Also, catch James McCrary in the Hyatt Regency Burnham for “Crash Course VR” from 3-430! Keep your eyes open for more amazing ARVRinEDU tomorrow!